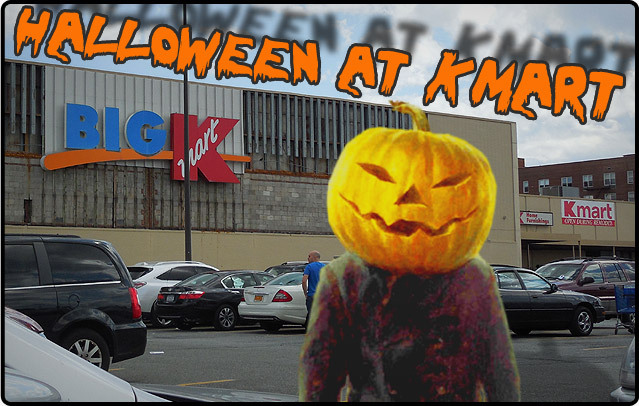 Halloween at Kmart! | Dinosaur Dracula! Doing the Halloween Countdown involves a lot of hunting. It always has. 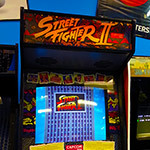 I can’t rely on any one or two stores to “fill the tank” for two months’ worth of posts, so I’m constantly searching for more, and my core base of “retail hot spots” is always growing. For the first several Countdowns, Kmart was one of those spots. Our local store was just a short drive away, and what it lacked in pizzazz was made up for in its… what can I call it? Genuineness? Trashy genuineness? While other department stores kept evolving – or at least made efforts to – Kmart stayed the same. 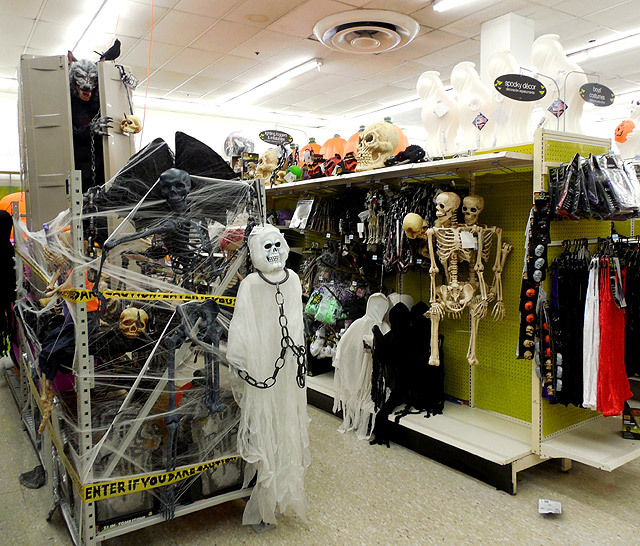 Come September, its Halloween aisles were organized just like they were when I was a kid. There was something comforting about that. That store eventually closed (it’s slated to become a Target next month), leaving us with only one other Kmart in negotiable driving distance. It’s a longer and much more annoying drive, so while I may hit our nearest Target another hundred times before October 31st, I probably won’t see this Kmart again for eight months. I think I’ve mentioned this store before. 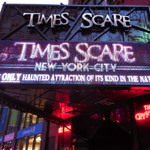 It hasn’t been remodeled since the ‘80s, and I’m not exaggerating at all. 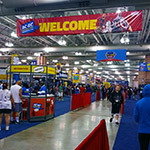 The layout makes no sense, the staff is comfortably apathetic, and nearly half the people who shop there are always tossing footballs to someone else, clear across the store. Whatever you imagine when you think of “old cake,” that’s this Kmart. 100%. 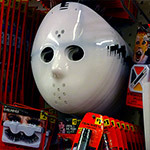 But, as you can tell by the photo, even the most dilapidated Kmart stores know how to work it for Halloween. 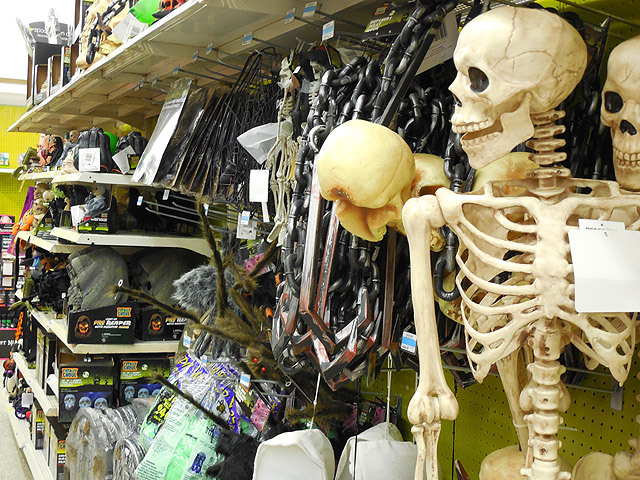 This one rededicated its entire lawn and garden center (or whatever is normally back there) to spooky goodies. 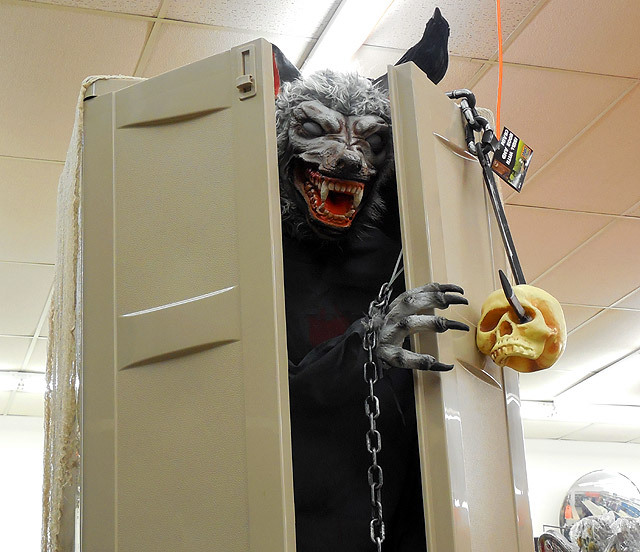 The Halloween section exists as a store-within-a-store, and since I seemed to be one of the very few people interested in plastic Draculas so early in the season, I had a clear stage for lots and lots of photos. 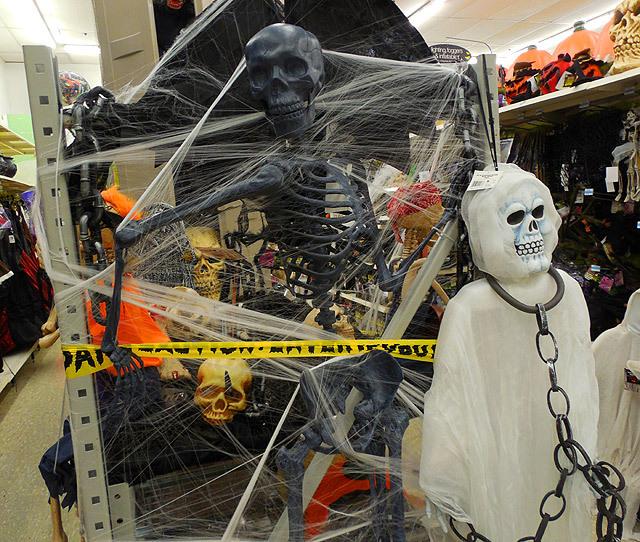 I’ll go out on a limb and say that the store’s Halloween setup probably didn’t adhere to any corporate standard. Next to several aisles of haunting retail nonsense was a crude display… one that I’m going to have an awfully hard time describing. Basically, they took a bunch of half-built shelving units and combined them into what looked like an extremely hurried parade float. Most of what they used to decorate it with was on sale, but a few things definitely weren’t. 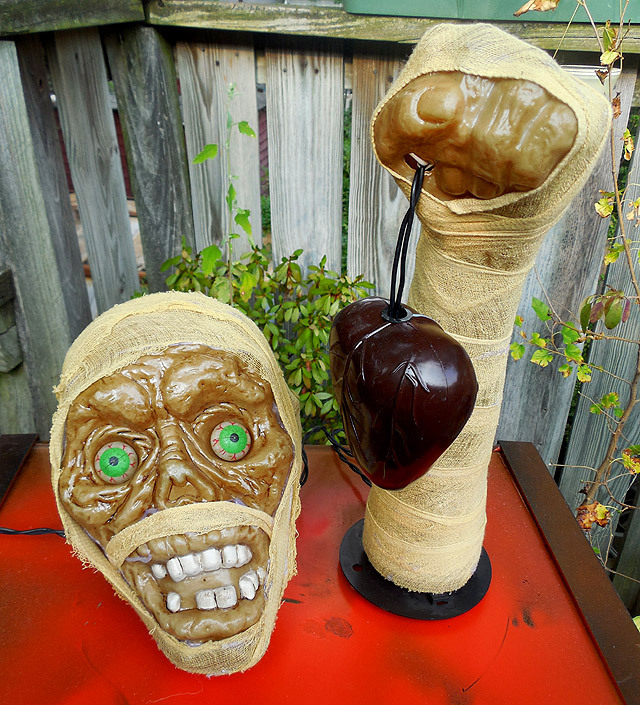 Which means that someone cared enough about this monstrosity to drag their own Halloween decorations in from home. That’s awesome. The whole thing is a lawsuit waiting to happen, too. Starting at it, I noted that there would be no way to fall into that display without dying. Look at the photos. Imagine that same setup without all of the Halloween stuff on it. Looks like a car wreck, right? A car wreck with pointy metal parts, right in the middle of everything. I’m fine with this. Halloween should be risky. Now that I’m looking over the photos again, I wish I’d bought more. 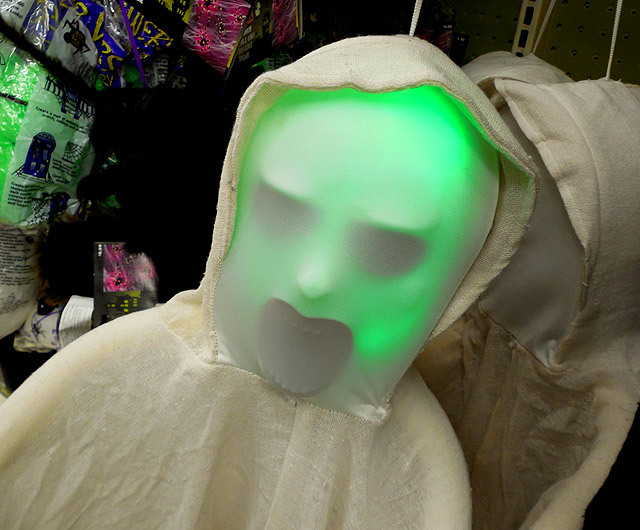 Back when I still had an easy-to-get-to Kmart, I remember feeling like its Halloween wares were so played. 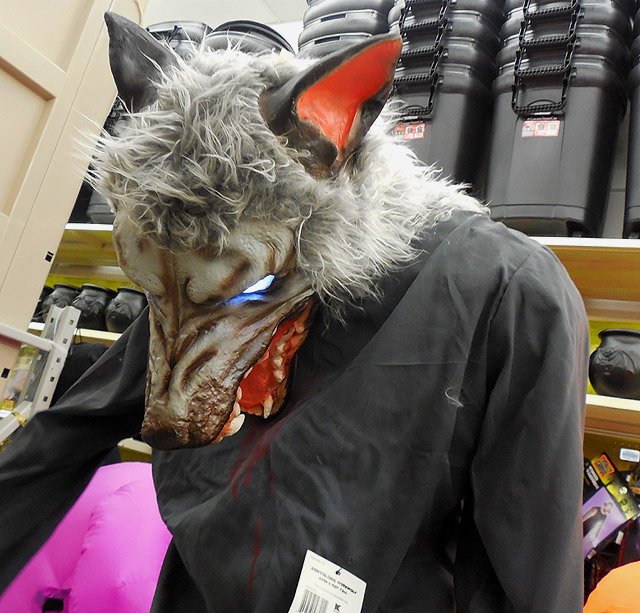 We didn’t have reasonably local Targets or Walmarts for the longest time, so when they finally sprung up, whatever Halloween stuff I found at those stores felt so shiny and new. Ironically, I now visit Kmart so infrequently that it’s their stuff that feels extra special. The tables have turned! Long live blue light specials and spinning ICEE displays! 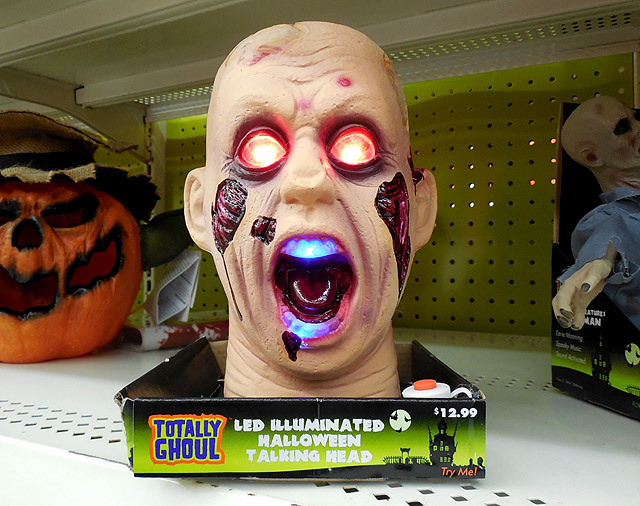 The “Totally Ghoul” stuff is great, but Kmart also stocks things with a more “generic” feel. 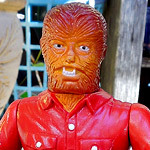 Like non-dusty versions of the Halloween decorations you might find at a ninety-year-old woman’s yard sale. It’s a great vibe, and I’m not going to get it at any other department store. Really, the driving force behind this post is my knowledge that things don’t last forever. I’ve been at this Countdown shtick since 2003, so these random department store setups hold so much nostalgia for me. 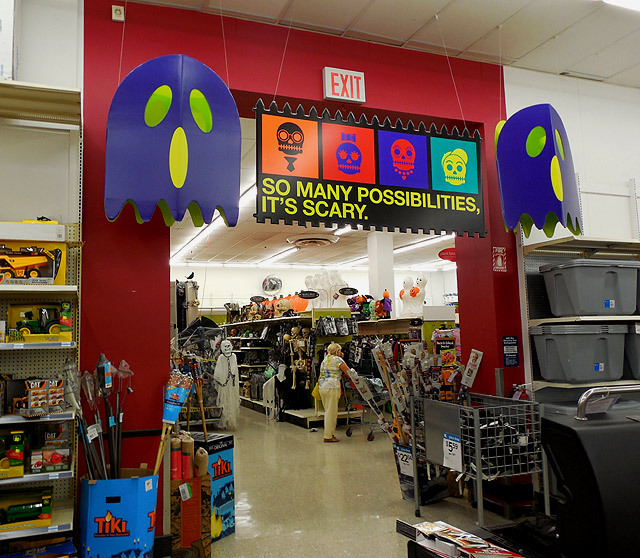 When that more-local Kmart closed, I was so mad at myself for only writing about the things I bought there and never the store itself, which was just as responsible for fanning my Halloween flames. Given that this place looked like it was being held together by glue, I don’t want to make the same mistake twice. 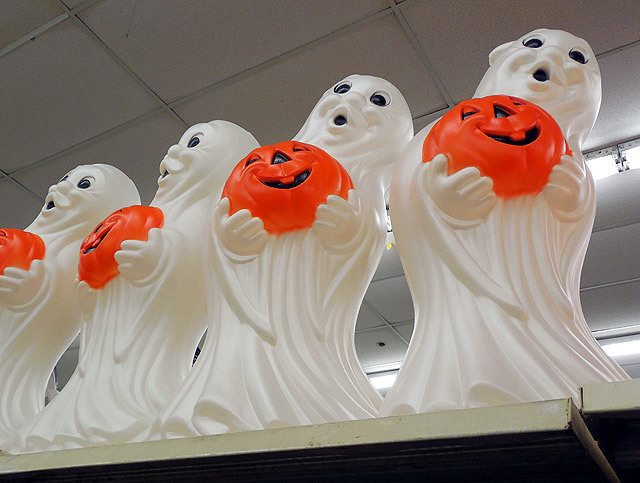 If I’m ever without a nearby Kmart during a future Halloween season, I can always come back to this post. But, since none of the above could possibly be very interesting to any of YOU, I took precautionary measures. I bought something at Kmart that YOU can enjoy. 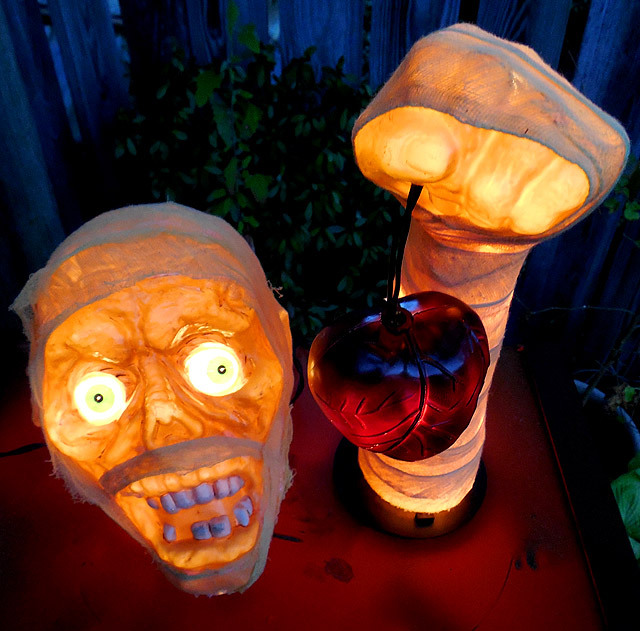 It’s a light-up mummy, holding his own heart! From a larger family of semi-similar decorations, I’ve been chasing this guy for a long time. The absurdity of a dead mummy rising from the soil to show off his heart notwithstanding, I’ve been spying photos of this thing for years, and it always struck me as such a nice nightlight. Now that I own one, I can confirm: This really IS a perfect nightlight. The lights inside blink, but not dramatically so, which gives the illusion of candlelight. It’s not enough to read by, but it’s certainly enough to avoid crashing your foot against unforgiving bedposts. 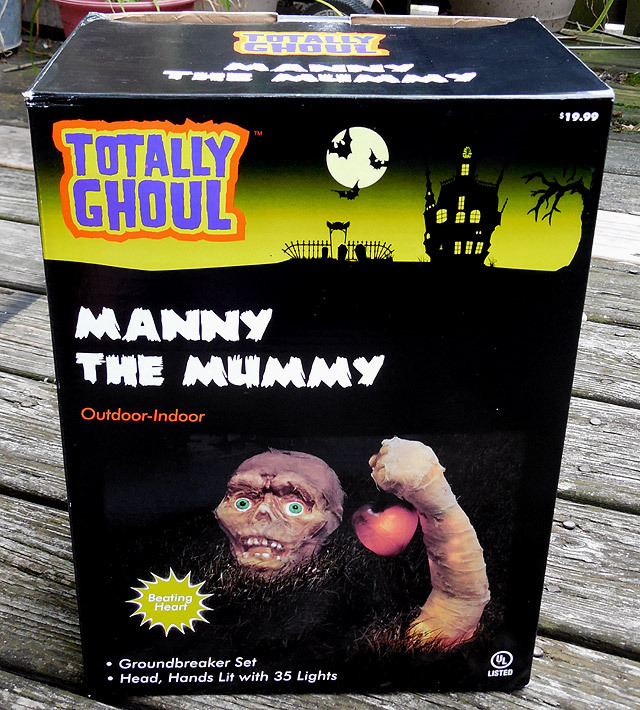 “Manny the Mummy” comes with cheapo plastic stakes in case you want to make him live in the grass, but you’d be stupid to do that. This mummy deserves to be in the bedroom, serving as the visual white noise that will make every journey toward sleep that much mummier. Thank you, Kmart, for bringing Manny into my life. Don’t collapse between now and next September, okay? 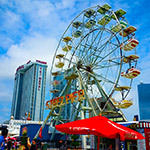 Highlights from the AC Boardwalk Con!